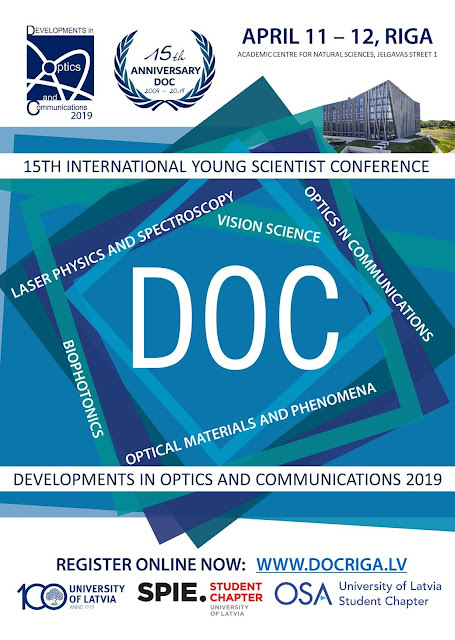 ULSPIE Student Chapter: Conference #DOCRiga2019: submit your abstract today! The conference is held on April 11-12, 2019 in Riga, Latvia. More information and registration can be found on the conference website: www.docriga.lv. The event is organized and supported by University of Latvia and the international organizations #SPIE and #OSA. Well organized conferece and each year improving! Looking forward to 15th Anniversary.